Classmate stands for identifying and celebrating the uniqueness of every child. The brand encourages each user to nurture the skills and interests that make them special, with confidence, to make their dreams, reality. Classmate notebooks consist of more than 300 variants including notebooks, long books, practical books, drawing books and reminder pads. ITC focused on the design elements of notebooks: each Classmate notebook has a theme on the cover and related information inside. 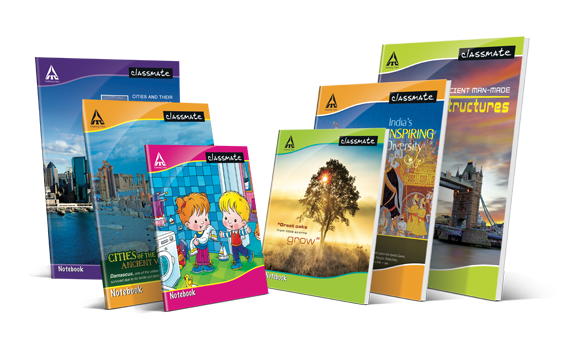 ITC Classmate notebooks use Ozone-treated, Elemental Chlorine Free Paper which has lesser use of chemicals in bleaching stage. Ozone treatment of paper before bleaching process improves paper quality and shelf life. 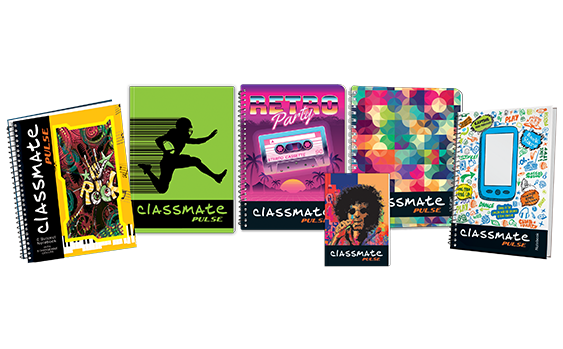 Classmate Pulse is a trendy range of notebooks from Classmate for the uber-cool youth of today. Its vibrant, stylish and trendy covers with special effects make a statement, upping the style quotient of these notebooks! Classmate's range of pens includes ball, gel & roller pens. 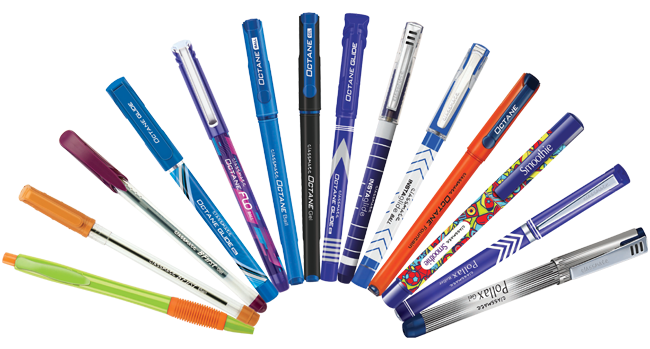 Classmate pens deliver unmatched comfort and a neat writing experience. They are ergonomically designed and engineered to ensure a controlled ink flow for a smudge free writing experience. 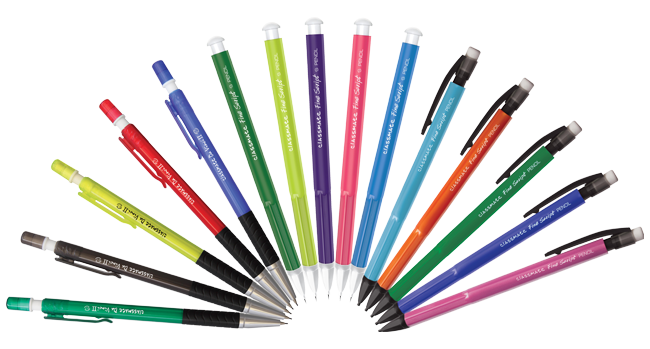 The textured rubber grips and low viscosity inks ensure that writing is comfortable and extremely smooth. a comfortable triangular grip in Triklik. The different variants available include: Fine Script, Tri Klik & Spear. 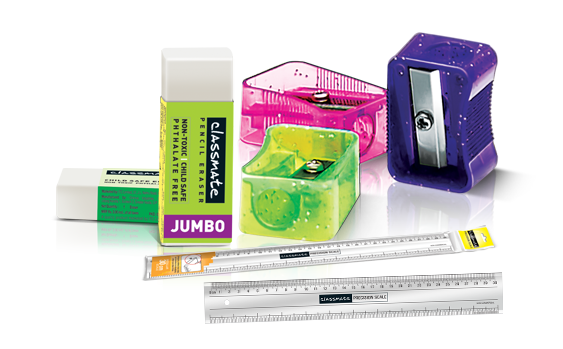 Classmate geometry boxes come with die-casted metal instruments with a self-centring mechanism that gives you maximum precision and accuracy while you draw. The compasses in the geometry boxes have been designed with equidistant tips for unsurpassed accuracy. The boxes come with sturdy, transparent plastic instruments that are perfectly calibrated for greater accuracy. Each box also comes with a reference guide full of important math formulae. 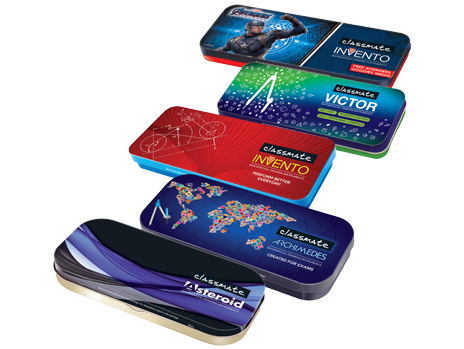 The variants available include: Classmate Victor, Classmate Invento, Classmate Invento - Disney Series, Classmate Archimedes and Classmate Asteroid. the rounded edges make it safe and the design makes it easy to lift off. Classmate Colour Crew range of art materials, comes in a range of rich and vibrant colours, has been designed to cater to a child's learning needs-from developing motor skills, hand-eye coordination, to colour recognition and much more. This portfolio ranges from Wax crayons, Plastic crayons, Oil pastels and Sketch pens.